When we were given the news that two of us could get the chance to go away to Barcelona for Global Zoom 2017 we never thought it would of been us. 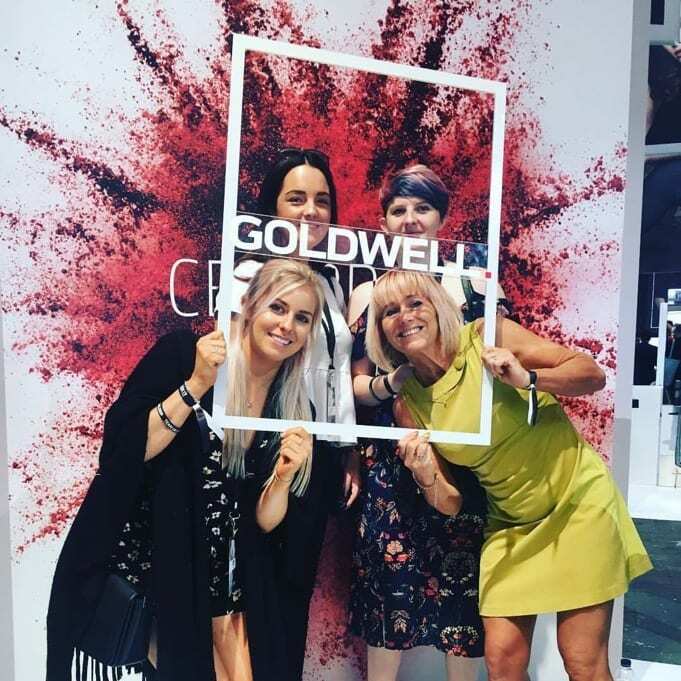 Global Zoom is an international competition hosted by Goldwell were different countries to head to head in order to be crowed a global winner. Competitors are judged by independent hairdressers, trade press, journalists and fashion experts from the industry on their creativity, originality, innovative and correct use of colour and appearance of their overall look. 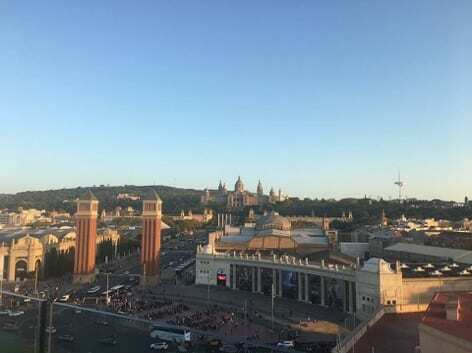 To decide the two people in the salon that got to go to Barcelona, we had a competition in the salon over three months that certainly kept us on our toes, there was never a clear winner throughout the competition the person in the lead changed from week to week. But towards the end when we saw we were keeping ahead it gave us even more incentive to keep going and fight to keep our places for the chance to go. At the monthly meeting the winner was announced, it was so intense as we still weren’t 100% sure it was us as anything could of happened but when they told us, we were over the moon and mega excited. The shopping for outfits for Barcelona had to begin! We travelled up the night before our flight and all had dinner together, getting so excited about what was to come. The flight there seemed to go really quick and when we arrived the weather was lovely and the hotel was outstanding with a luxurious roof pool, bar and relaxing area to sit. We were in our element. We spent the first day exploring the area, just outside the hotel was long row of shops and as it was the weekend they had a traditional market with lots of food stalls with food we wouldn’t dream of eating (octopus and lots more) tried it once never again. Cheese, meats, yummy crepes (would of been rude not to have tried) lots of hand made things and your normal souvenir stores. That evening we had the UK welcome session on the roof top with drinks and canapés. 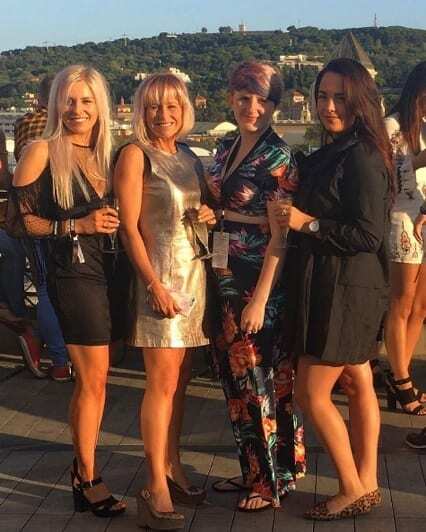 We spent the evening enjoying the amazing views over Barcelona and it was really nice to get to socialise and speak to other hairdressers and people in the industry. Day 3 we spent at some of the seminars showcasing future trends and upcoming products. It was all very interesting and exciting to see. We then had lunch in a local restaurant and spent the afternoon chilling by the rooftop pool again and getting ready for the farewell party on the beach! The evening took us to Barcelona’s beach and nightclubs, where we were served unlimited wine, champagne and some incredible canapes. It was a great atmosphere again, we were with all the competitors and salon teams from other countries and got to socialise and party with them, even karoke! This was our final day, we were sad that it was all over, it went so quickly. We got up and had breakfast then had some time to chill one last time on the roof top before heading to the airport. Barcelona was a trip not to be missed. It was such a fantastic opportunity for us to get to see what other stylilsts from all around the world think is on trend and how they perceive the hair fashion. It also gave us lots of new and exciting ideas to put into our own work. We can’t thank Kate and Libby enough for giving us the opportunity for a once in a lifetime opportunity.